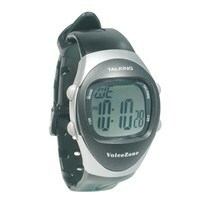 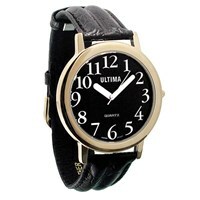 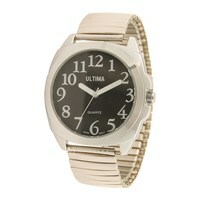 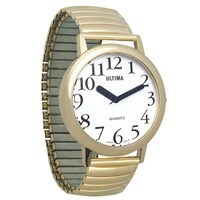 The Ultima Low Vision watch has large white numbers and a black dial. 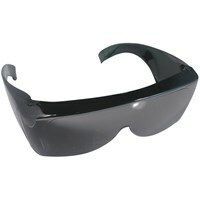 The face measures 1-5/8 in., making it very easy to see and read. 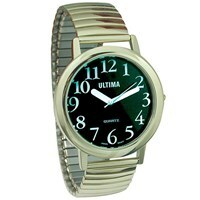 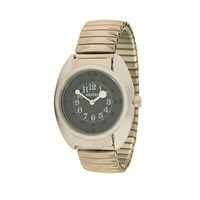 It has an accurate quartz movement; a stainless steel back; a chrome finish; and is water-resistant. 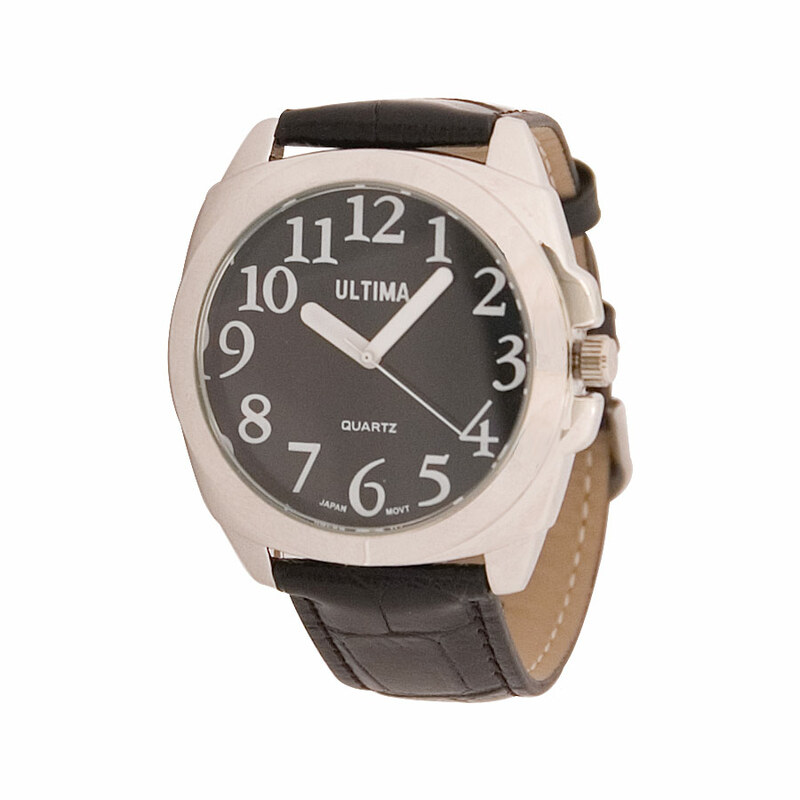 The comfortable leather band and simple, yet elegant, style will fit perfectly on any man or woman's wrist.